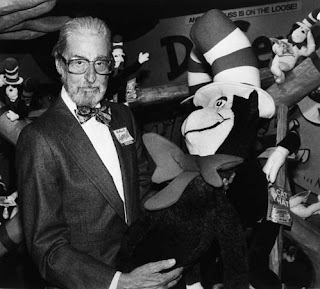 On March 2, 1904 Theodor Geisel who is better known as Dr. Seuss was born. Geisel was born in Springfield, Massachusetts. He went on to graduate from Dartmouth College and also studied at Oxford University. Geisel's first children's book "And to Think That I Saw It On Mulberry Street" was rejected by over two dozen publishers before being printed in 1937. 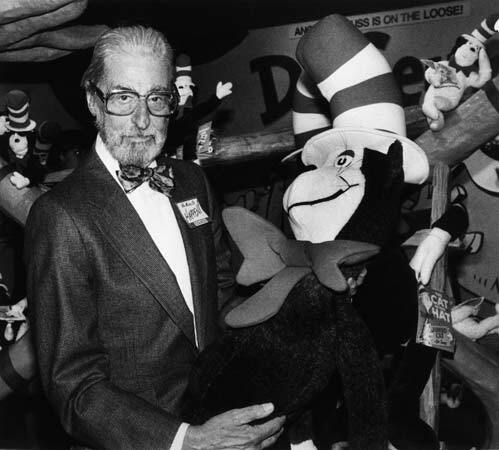 His first bestseller, "Cat in the Hat" was published in 1957. Other classics include "One Fish, Two Fish, Red Fish, Blue Fish", "Yertle the Turtle", "Fox in Socks", and "If I ran the Circus". Though he also published books with more serious themes like the environment ("The Lorax") and the nuclear war threat during the Reagan presidency ("The Butter Battle Book"). Geisel lived and worked in an old observatory in California where he passed at the age of 87.